Jay-Z performs on the Rocky Stage during Made In America along the Benjamin Franklin Parkway on Sunday, September 3, 2017. Mayor Kenney takes swings at powerful people all the time, from Republican lawmakers to soda industry lobbyists to Archbishop Charles J. Chaput. But this week, he picked a fight with a superstar: the rapper Jay-Z. Made in America is moving off the Ben Franklin Parkway in 2019. Is it leaving Philadelphia for good? The Kenney administration revealed Tuesday that the Made in America music festival has to move from its usual location, the Benjamin Franklin Parkway, beginning next year. That prompted Jay-Z, who founded the Labor Day weekend event, to fire off a scathing op-ed to the Inquirer and Daily News in which he claims he received no prior notice about the change. This year's lineup will be headlined by Nicki Minaj, Post Malone, and North Philadelphia rapper Meek Mill. Kenney's decision also drew criticism from the local stagehands' union, and led to questions about whether the Parkway would host other large events in the future. In recent years, Philadelphia has advertised itself as a premier destination for blockbuster events, holding both Pope Francis' 2015 Mass and the 2017 NFL draft on the Parkway. "We are disappointed that the mayor of the City of Philadelphia would evict us from the heart of the city, through a media outlet, without a sit-down meeting, notice, dialogue, or proper communication," Jay-Z wrote. "It signifies zero appreciation for what Made in America has built." At a news conference Wednesday, Kenney said that "we love" the Made in America festival "and we want to keep it." However, he said, holding the event on the Parkway has caused problems. "We had some operational difficulties on the Parkway because of how long it takes to kind of set up and take down," said the mayor. Kenney also suggested that Jay-Z's Roc Nation, the entertainment company that presents the festival along with concert promoter Live Nation, should have been aware of the fact that this is the last year it will be held on the Parkway. He said that was noted "in the RFP" — request for proposals — to which Roc Nation responded. "Since they responded to the RFP and had no complaints, we thought it was OK to look around for some other prominent sites in the city where we could do it. We are in conversations with the right people now." Similarly to Jay-Z, City Council President Darrell L. Clarke said he "heard about the potential move on the radio." His district includes the Parkway. In general, Clarke said, there has been "a conversation and a process to discuss changing the number of programs on the Parkway." He said residents have raised concerns "about the Parkway usage period for a long, long time." Michael Barnes, business manager of International Alliance of Theatrical Stage Employees Local 8, also said he learned that Made in America would be moved from the news media, though he'd heard inklings that there might be problems involving the festival. He said he was worried that all events on the Parkway are threatened. "It's an elitist group … that's trying to shut down the public use of the Parkway," he said. "We feel that's going to be detrimental to the city of Philadelphia." Asked by a reporter if other events on the Parkway are at risk, Kenney did not say no. Instead, he said that a recent study on events in the area "talked about the stress of the infrastructure of the Parkway." Barnes said "nobody from labor was contacted" for the study "to ask the impact of this decision on jobs." Security issues do not seem to be driving the concerns. A spokesperson for the Police Department said it has "no information on any credible threats" on the Parkway. Desiree Perez, COO of Roc Nation, said she was "shocked" by the city's announcement that the Made in America festival would not be welcome on the Parkway starting next year, despite recent signs of strain. "I knew something wasn't right," she said. Before last year's event was announced, Roc Nation got a request from the city to see the list of performers before they were publicly revealed. "We keep that very close to the vest," she said. "It's a marketing thing. I felt like they wanted to approve it." In April, Roc Nation received a letter from the city "saying we should cease and desist because they hadn't approved the festival for 2018," Perez said. "We sent a legal letter back to them, and a lawyer from the city called and told our lawyers, 'All the parties want to resolve this, we'll be in touch.' We never heard from anyone again." 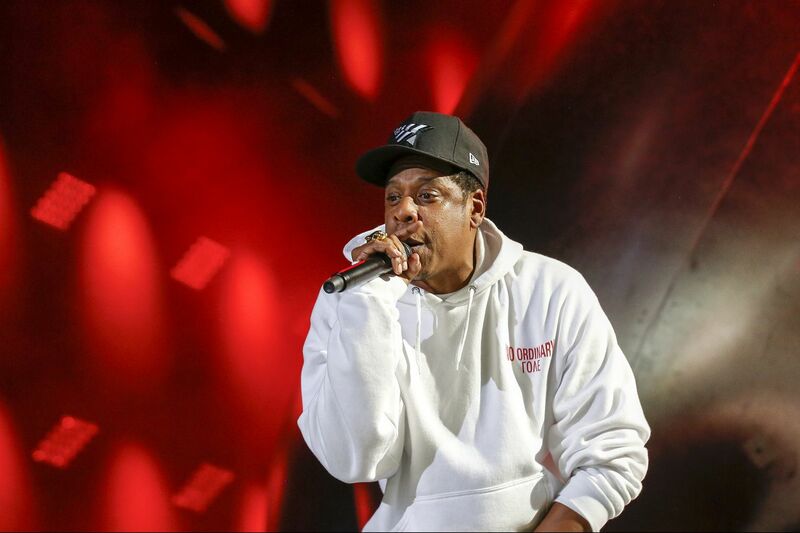 Jay-Z said the festival has generated $102.8 million in economic impact for the city. "I was trying to set up a meeting with the mayor since April, and I never got any response," Perez said. "This is a global artist, a black American business figure, who has embraced Philadelphia in so many ways. We've done so much in Philadelphia because Jay feels that connection to Philadelphia. You'd think they'd arrange for Jay to meet the mayor face to face, just out of normal courtesy. I don't understand this." Kenney said the city values its relationship with Jay-Z and Roc Nation. He left open the possibility that Made in America could ultimately be allowed to remain on the Parkway. "I love Jay-Z," he said. "The Parkway is very important to Jay," Perez said, "so I'm not sure that not having the Parkway will work." As for being slammed by the musician, Kenney said, "I've been in politics and government for almost 30 years. People have called me names before, and I'm good. I'm fine."